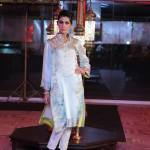 Pakistani fashion label Pareesa by ChenOne winter collection for the season 2014-2015 has been disclosed. This is the volume 2 of Pareesa by Chen One winter collection; volume 1 of Pareesa has been launched few weeks before and gets very positive response from the women of Pakistan. 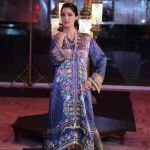 Now the brand has set to launch its winter dresses for girls which include diverse embroidered patterns to make your winter look complete by wearing this range. As every fashion lover of Pareesa by ChenOne knows that this is the fashionable and high end fashion outlets. The brand deals in women wear different varieties of seasonal collection. 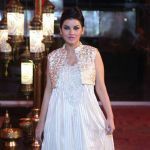 Sahar Atif is the name behind the success of Pareesa by Chen One, really working very hard to promote her fashion brand. 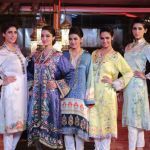 Now this is one of the emerging fashion labels in Pakistan fashion history. This fresh variety of women winter dresses has been particularly start on for winter season. Pareesa by Chen One latest range for 2014-2015 comprises inhalation charming and wonderful styles. 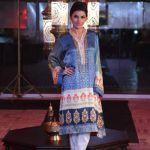 Pareesa by Chen One consist of the fabric of unstitched 3 piece suits. 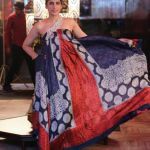 Each three piece cut contains the objects of long shirt, frocks, simple shalwar kameez and dupattas paired with churidaar pajamas, tights or trousers. The dresses design in terms of latest fashion trends to meet the women requirements for winter wardrobes. This is unstitched three piece collection and stitched it as per your requirements and look stylish in this winter season. The price range of this collection is between PKR. 6000 to PKR. 7000 and the quality of dresses are unique and stylish range. Check here Pakistani fashion designer Pareesa by Chen One Latest Winter Collection 2014 2015 for women and girls. The collection has stocked at all Pareesa by Chen One outlets nationwide. Let’s see below here complete designs pictures.